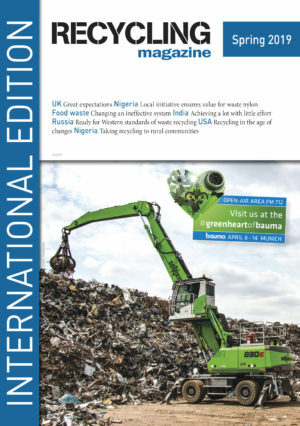 The CI series of scrap shears from Italian hydraulic attachment manufacturer VTN Europe have been re-invented and remodelled with the introduction of the new CI-R range. The new CI-R series, re-Designed specifically for heavy weight excavators, working in the processing of heavy duty metals and structures. The jaw type and wide mouth opening have been designed for grabbing and cutting all-sizes of materials and thanks to a dedicated speed valve the CI-R shears optimize the cycle times. Whilst the piercing tip is made of one unique piece, the four-times replaceable blades will help end users save money on spare parts. The new jaw alignment guides together with the fixed jaw fulcrum pin grant for a very precise material cutting. The rotation system, with double bearings in row, consents to operators to gain a perfect positioning on the material to be processed helped also by the break system inside the swinging motor. 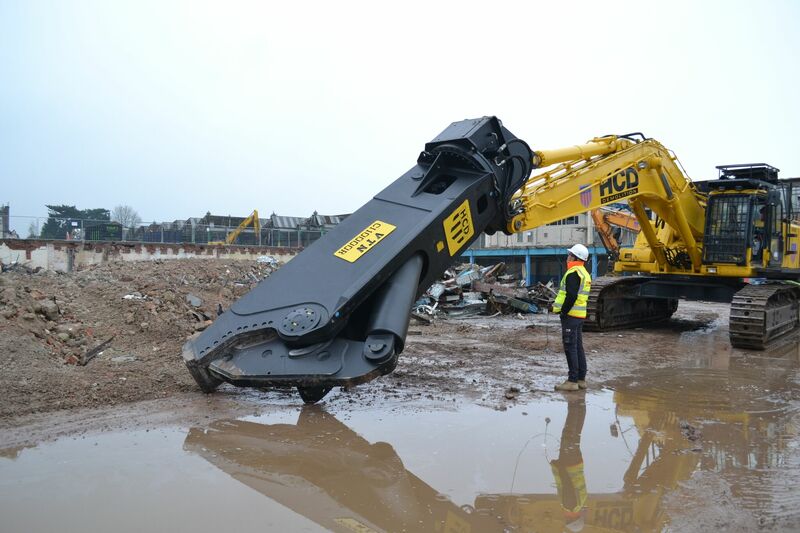 Warrington based attachment specialist ECY Haulmark recently carried out the first UK installation of the brand new VTN Europe CI-R scrap and demolition shear. The new model CI10000-R shear has been boom mounted onto HCD Haywood Crushing & Demolitions Komatsu PC600LC and is the third super-sized shears in the new range. This being a ten and a half tonne shear, with a jaw opening and a depth of more than one metre, unleashing a cutting strength of 1320 tonnes distributed among the kinematics of the jaw. Suitable for excavators from sixty tonnes up, it is capable of cutting steel surfaces thicker than ninety millimetres. HCD has been contracted by a major house builder to complete the demolition works and clear the site of the former Crown canning works in Worcester. The site comprises of fifteen acres which is being cleared for construction of two hundred and forty new houses. The Crown Gate Works are constructed of steel covered buildings with cement asbestos roofing sheets over the whole site, with the main factory production area having a large basement area. This is a twenty five week project to clear all the buildings plus remove all concrete floor slabs and foundation to a depth of two and a half metres. HCD Manging Director Ian Musto invested in the new VTN CI1000R scrap shear from UK VTN dealer ECY Haulmark. HCD are a long time user of VTN attachments and are also utilising a VTN CI3000 Scrap shear, dipper mounted onto their Doosan DX480LC on the same site. Mr Musto commented “VTN’s scrap shears have always given us good solid service over the years, in old money we started with the HS200 and HS400 models, moving onto the CI3000 and now the CI10000R to assist in the onsite processing of our heavy duty demolition scrap metals”. On this current project for HCD Ltd, the VTN CI10000R scrap shear is processing compound girder approximately 600mm x 100mm. Apple has announced “Daisy”, a new robot to disassemble iPhones.